Some three decades ago witnessed fine electrical currents of post-punk experimental playback; an all-new generation of musicians who pumped new blood into the heart of pop culture, embracing the synthesizer as a creative art form and blended to give an alternative voice to our musical youth. In recent times, the synthpop boom that we came to identify with, has since re-presented itself in the form of several high impact releases from those original innovators of the genre. The Electricity Club investigates the possible contributing factors behind the mainstay of the synthpop phenomenon, as it continues its refined, yet hugely contrasted take on musical fashion. Circa 1978 saw the formation of British band Duran Duran. Initially given the harsh cold shoulder by the British music press, they soon refused to disperse quietly and promptly exploded into the ranks of worldwide pop mainstream, earning an equally enthusiastic cross section of devoted followers. At one time, it seemed that there wasn’t anyone who didn’t have a soft spot for at least one member of the trendsetting five – and don’t say you never thought about those luxury yachts or the scenic Sri Lanka coast line; the songs delivered everything short of actually being on location. Such was the strength of the new era that heralded the pop video. The waters often brought exhilarating sun-soaked excitement, but later, as the years marched on, the ocean had at times been reported as choppy, with a distant darkness looming on the horizon. It’s been a somewhat long voyage for them since; it wasn’t all cocktails and supermodels but thankfully, nobody got washed up. 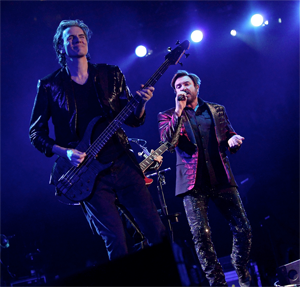 2011 dawned, and unfolded to become what was clearly a year of definition for Duran Duran, not least down to the incredible success of their All You Need Is Now album. The once ‘ever so pretty boys’ had exceeded way beyond pin-up friendly, and matured into a tight unit that would put out some fine examples of decadent song crafting. They showed us how to take that tentative step over the strict boundaries that are so often put in place by some box-ticking social architect, one who seemingly goes on to define each genre and supposed fan model. They delivered an arena tour which would take the wind right out of 2011’s sails, and they proved their music gave birth to more than just a nostalgia trip for the over-indulgent recycled teenager. Filling the large arenas worldwide is no mean feat by any stretch of the imagination. But not only that, their biggest strength, it would seem, now lies with new material; perhaps another phenomenon that escapes the general rulebook. ‘All You Need Is Now’ and ‘Blame the Machines’ are present-day cuts that unexpectedly merged so seamlessly when they were played live alongside the older staples. It’s as if there were merely years, rather than decades, between them. Technically, their sense of beat and overall rhythmic agility was nothing short of impressive; a winning formula that underpins so very tightly. Another key defining ingredient: think intricate and creative percussive embellishments drawn together with John Taylor’s funk-driven, precise bass. Their latest single, ‘Girl Panic!’, proves the point entirely; pumping out the adrenalin with its energetic Latino groove and striking percussive character. This perhaps goes some way to demonstrate exactly why they are a band that has reinvented themselves, only to emerge way ahead of the game yet again. With the ‘Girl Panic’ video boasting nearly five million hits in just a short time and which sees the industry’s most respected supermodels feature, Duran Duran are without a doubt heading back into vogue as we bring in 2012. Granted, it’s not always been plain sailing for the Duran boys, but for now, this particular machine is free of blame and heading in the right direction. “John Foxx? 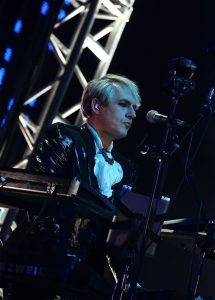 Class cannot be erased.” – John Taylor (Duran Duran). John Foxx, as an artist, portrays complete contrast against the massive PR machine that has carried the likes of Duran Duran through the course of the decades. 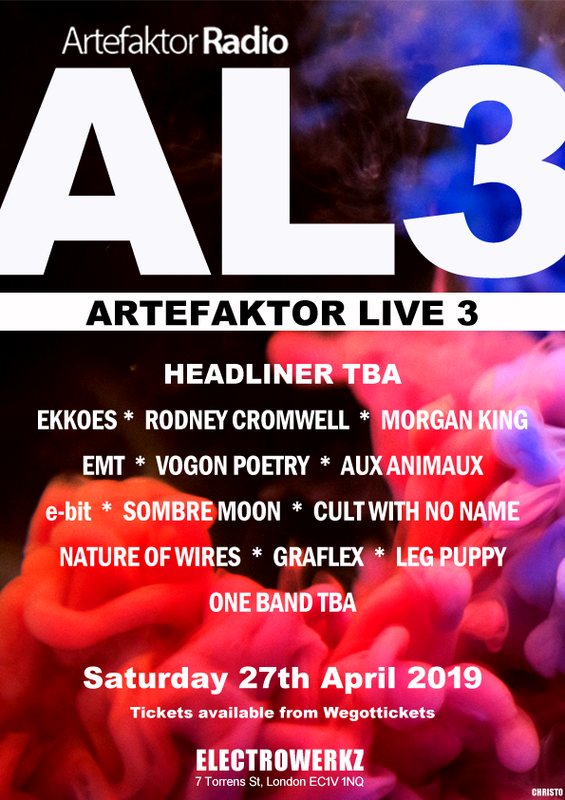 Still, John Foxx & The Maths went on to win ‘Best Electro Act of 2011’ at the recent Artrocker Magazine Awards, and Interplay continues to receive huge critical acclaim. 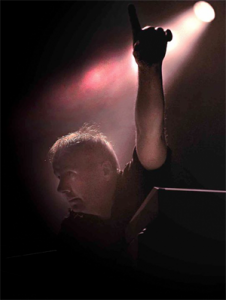 ‘Understated’ is a word that very much defines the original Ultravox front man, and that is where the thrill lies – a larger than life creation that somehow emerges from stripped down, hard electro compositions, leaving only a superbly pure attack of synth magic. Nothing is diluted in the slightest, there’s a brave thrust of analogue technology ­the appeal being that, yes, John Foxx is a purist. Not afraid to go against the grain; forgotten is the immaculate sequencing or the perfect production music and in comes a lovable retro feel that embraces futuristic trance. An untamed edge that once again surrounds itself by the common denominator of high class musicianship – given the ripened skills of Benge, Serafina Steer and not least, violinist extraordinaire Hannah Peel. Gary Numan, recently graced with the honour of picking up 2011’s Artrocker Legend Award, has been a long-standing pioneer of electronic music, being amongst the first to hit commercial highs since his 1979 breakthrough album Replicas. An innovator with a distinct sense of individualism, he’s consistently maintained control over his sound. His latest release Dead Son Rising has shifted successfully into contrasting areas of his former identity; a shining experimentation en route to the dark, often metallic soundtrack that leans towards a science-fictional entrée, with some tracks even slanting in the direction of industrial rock anthems. 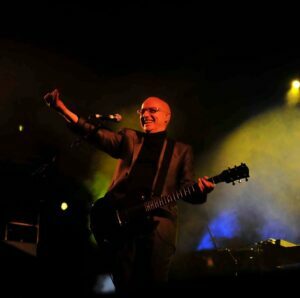 Without doubt, Gary Numan has endeavored to create new dimensions with his unique blends that drive the synthesizer towards fresh pasture, while maintaining artistic vision; an optimistic outlook rather than repetitive recycling of formulae ­such that can only ensure additional longevity of our beloved Synth Britannia. “…Gary Numan has a devoted lifelong fan base for his crafted songs and appeals to the iPod more than the dance floor. He just sticks to what he is good at and delivers and that requires a strong will and talent…” – Rusty Egan (Visage). 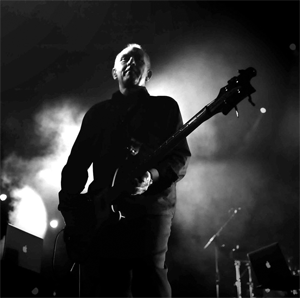 It seems Ultravox have always been noted for their significant step into the mainstream, following the appointment of Midge Ure as front man. They scored strong hit-making ingredients that would give them more than just a brief flirtation with Top Of The Pops. Hits such as ‘Vienna’ and ‘Dancing With Tears In My Eyes’ have become anchored mainstays; providing a point of identity for even the most casual of listeners, and hit on by many a radio station to this day. Essentially very much a live band, their musical virtuosity took them beyond the quintessential pop record. With a clever combination of subtle classical inflections set against the integration of electronic percussion – not to mention some of the most expressive synth solos ever encountered – the fruits of experimentation were definitely on their side and ultimately set them apart as a band. Consider the growth of the pop video; Ultravox embraced visual artistic form. From great stage sets to iconic videos, such futuristic visuals bound tightly to touch emotions and create strong ambience, and produced a very dramatic and theatrical aspect that has endured a lasting effect, now synonymous with the band. Today, Ultravox, remain a true synergy, showing strength in the fact that the band as a whole, have always presented an entity that is much greater than the sum of its parts. And now, nearly four years after reforming, they are about to release their first album featuring the classic line-up, in twenty eight years. At this moment in time, it’s no surprise that Ultravox’s planned release has been one of the most debated throughout various online fan communities. Their foundations of course, were always rooted much deeper than mainstream medley and indefinitely provided the means to grow, which is why 2012 presents such an interesting and exhilarating prospect for both the band and fans alike. So, what can we anticipate from the forthcoming record? In terms of what to expect, thanks to Midge Ure’s Twitter presence, there is evidence that the creative juices really are simmering nicely. January 2011 saw the band cocooned somewhere deep within the winter wilderness of Canada, equipped with Macbooks and guitars while Billy cradled what looked to be (and don’t quote me) his Frank Georg Rost viola. Without any whisper of a doubt, it looked promising. Shortly afterwards, Midge, Billy and Chris made their way to Los Angeles and we were subsequently furnished with more pictorial treasures – this time the mighty Warren Cann was caught tracking his drums at Studio City Sound. 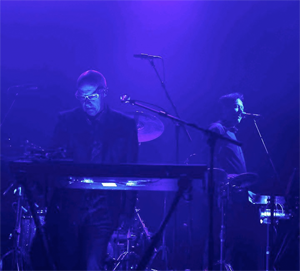 It was later revealed that the band would work with award-winning producer Steve Lipson; he produced Propaganda’s A Secret Wish as well as albums by Simple Minds and Annie Lennox. During this time, one particularly thrilling piece of news was the fact that Billy had dug out his old ARP Odyssey and got it fixed up ready for use on some tracks. Given his distinct ARP soloing sound had in some ways been the very essence of Ultravox in their heyday, such news would do nothing to contain the anticipation bubbling amongst the fans. Throughout 2011, any sustained periods of silence were hard going for fans. However, anxious rumblings were promptly traded for excitement once again when cheeky audio teasers were released via Midge’s Twitter account. The tiniest insight into what was to come, yet perhaps too miniscule to portray any of the architectonic character we may have become accustomed to looking for. That said, the first audio snapshot still sent enthusiasm ratings into red with its style of electro rhythmic drive and a percussive persuasion that conjured a hypnotic reverie, decorated with an elevating vocal. There was more to come and the next sample was an obscure object of desire, roughly mapped against the likes of Lament. Definitely the ambient impressionist of the three we heard, with its evocative sense of space weaving a dose of relaxation. The final offering, on the visual side, was rather amusing and featured an upside down video. Click track aside, this short insight was a luminous construction, articulated by those previous melodic concepts that were so prominent in the past; intensified with a euphoric synth tapestry that went some way to create an intoxicating nostalgic touch, before edging towards a change in tonal direction. All short, but most definitely exploited in the most charming way. Following the reunion tours of 2009/10, there was a time when we were very unsure as to what the next chapter would be as far as Ultravox were concerned, but that uncertainty now appears to be a thing of the past. It would seem the Ultravox revolution is definitely still growing, and let’s hope that when we finally turn that page, the fruits ripen and we experience the full bloom, not least in our headphones. As far as the evergreens of Synth Britannia go, we can certainly underpin a no compromise creative policy as a common denominator when it comes to their pioneering stature as heritage acts, coupled with a slice of current production technique. Yet in their own contrasting ways, Duran Duran, John Foxx, Gary Numan and Ultravox are each able to offer something that is so uniquely identifiable with their own brands. They are soon to be joined by Visage who are currently in the demo stages with regards to working on a record, with the participation of Steve Strange and Rusty Egan plus contributions from Midge Ure (Ultravox), Mick MacNeil (Simple Minds), Chris Payne (Gary Numan/Dramatis), Dave Formula (Magazine) and Robin Simon (John Foxx/Ultravox). 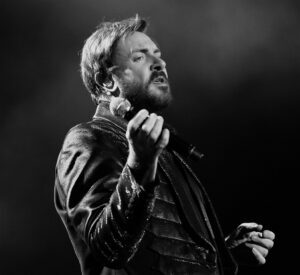 The rebirth of such finely tuned legacy brings forth a refreshing take on the shaping of our popular music culture ­ certainly with the likes of Duran Duran, yet, more importantly, all play a pivotal role in the anchoring of synthpop. All too often, in this day and age, the ranks of reality TV have perhaps driven pop music towards the world of auto-tuned, over produced landfill, conveniently disguised as a karaoke freak show at best. Long may Synth Britannia ‘waive the rules’ by ruling the waves. Special thanks to Rusty Egan, Simon Napier-Bell and Gerard Franklin of Frequency Media. Duran Duran All You Need Is Now is released by Tape Modern. 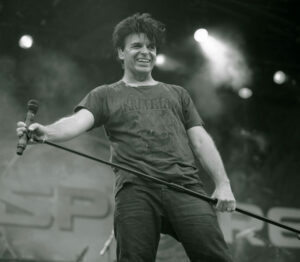 Gary Numan Dead Son Rising is released by Mortal Records. Ultravox’s new album is to be released in 2012. Live photos by Jus Forrest. 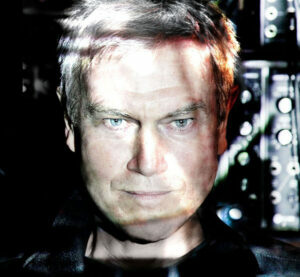 John Foxx photo by Ed Fielding.